Recycled Cotton Packing Bag using high-grade polyethylene these bags are known for protection against spillage, spoilage, infestation. These are also known for highly durable handle straps that are capable of sustaining strain and heavyweight. Our company is engaged in manufacturing, supplying and exporting a quality range of Sack Bags including Non-Woven Bags, Cotton Bags and Jute Bags, which are made using finest raw materials procured from the reliable vendors of the industry. 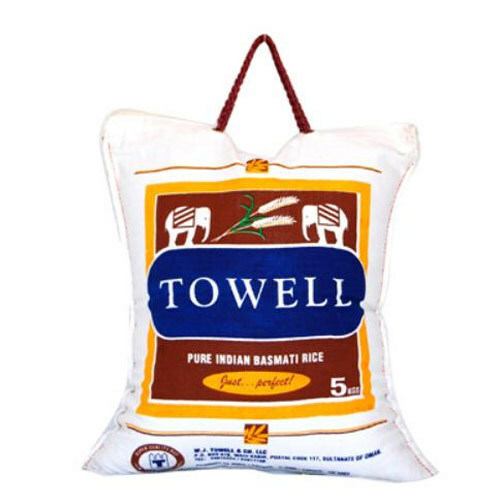 We are able to offer these eco – friendly bags to a large clientele majorly comprising of companies from Basmati Rice Industry. All our bags are eco-friendly, finely stitched and have durable handling straps & high tear strength. Our infrastructure is well equipped with the latest machinery, which helps in the manufacture of a quality range of sack bags. The expert monitors checks and tests the quality of raw materials used in the manufacture of these bags, ensuring high-quality sack bags are delivered to our valued customers. We work in close coordination with each other, to meet all the specific demands of our customers.